A solopreneur can, and many have, reach the $1MM dollar revenue mark quite easily by leveraging their resources. The advent of technology, combined with temporary office space for rent in NYC, has made it possible to operate successful businesses on an “asset light” level. Read this blog to learn the 5 things that successful entrepreneurs have done to get there and the tools you can use to do the same for your business. So you started a business and so far, it’s a success! Congratulations. You’ve hit the $100k revenue mark, all on your own, and are looking to take it up to the next level. What do you do next – do you hire employees, find a nice office space for rent in NYC and set up a shingle? If so, what kind, who, what, where? What many entrepreneurs don’t realize is that it takes a different mindset to get to $100 than it takes to get to $1MM. Here are the actions that successful multi-million dollar (solo) producers have taken. Successful solopreneurs realize that they need to wear many hats, becoming experts in different subjects to meet their needs as their business evolves. They are voracious for new knowledge and learning. Be a self-learner. Figure out what the people more successful than you are reading, and read those same books. Take it all in, even if it’s not a subject you anticipated ever taking an interest in. While learning can come from the text books, a very valuable part of learning is experiential (meaning it comes from the people who surround us). Being a part of a vibrant and dynamic business community of professionals involved in other business sectors can be a way to learn through association. Corporate Suites houses a unique community of business professionals. While our environment is private and discrete, we do offer networking opportunities so that our members can share knowledge, bounce questions off each other, and enrich each other’s businesses. Big bosses are just that. They act like bosses, not like employees. It’s a whole mindset that you have to get into if you want to be the big revenue producer that a big boss is. Ultra-successful people realize that their time equals money. They outsource the minutiae, the administrative tasks that represent labor rather than professional opportunity. They put their skills to best use where they can earn the company the most money, and they don’t worry about the expense it costs them – that’s because they know that any expense can be compensated for by a bigger revenue stream. One of the advantages of being in a coworking office space for rent in NYC like Corporate Suites is that you don’t have to worry about such details. The operator takes care of all the minutiae, from the maintenance to cleaning. They’ll even answer your phone using your company’s name! You’ll spend less time searching for office space in one of the most difficult commercial real estate markets in the world and instead effortlessly glide through to a professional, elegant office in Manhattan. The other advantage of being in temporary or flexible office space for rent in NYC is the ability to accommodate varying staff levels. If you’re hiring 1099 staff to help with these routine tasks (outsourced bookkeeper, for example), you may need a meeting room occasionally. Or, you may need to rent a day office every so often. Business centers are a great asset for the solopreneur who outsources and hence has sporadic space needs. Before you are earning $100k in revenue, you’re doing business anyone you can just to pay the bills and earn a living. Once you surpass that milestone though, it’s important to refine your client targeting. If not, you’ll always be “treading water” so to speak and never escalate revenue to higher than what it is. The reason is that your capacity will be consumed with low level clients who won’t bring enough revenue to justify the time you are spending. Take some time to analyze your ideal client. How much revenue do you need to bring in from each client engagement? How many new clients per month does that translate into? And more importantly, figure out how to get to them through your existing network. The easiest way to do that is through selective networking. Let’s say you’re an investment banker who works with telecom firms. Make allies with a lawyer and an accountant who work with the same kind of firm, and then find a recruiter, an office supplies person, anyone who sells into that vertical. With the advent of social media, there’s so much opportunity for collaborative marketing online with such strategic partners. It’s easy to meet people in a coworking center or shared business space. Corporate Suites has community relations managers who connect the dots for clients. Use these professionals, as well as anyone from the front desk staff to the operations crew. 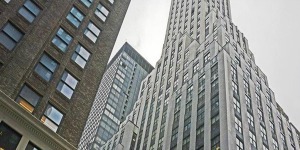 Anyone at the place where you get your office space for rent in NYC can make the introduction. Get them to bring you clients and you’ll see the cost of sales decline and before you know it your pipeline will be full of the high value types of clients you desire. While some million dollar businesses are home-based, it may be hard to get there if you’re trying to target certain client segments. Some clients may believe that your business is not thriving if you can not even afford office space. Others may be hesitant to work with someone who they view as not operating in a professional environment. A virtual office solves the branding issue by offering a presentable business phone and address. The amenities available today create opportunities for entrepreneurs that have never before existed. For the ambitious ones who want to reach $1MM in revenue, it’s best to take a page from the books of those solopreneurs who have done it before. Tangible actions recommended include being open to new knowledge, curtailing administrative tasks, leveraging networking connections as a mean of obtaining sales, and improving the company brand. We’ve outline the ways that Corporate Suites can help you do this, but don’t take our word for it. Email info@corporatesuites.com to come in for your private tour.